“When we learn to speak a different language, we learn to see a bigger world.” These days, this simple statement in its context premise probably would not find many opponents. With so many language centers and international schools around the city, learning a foreign language has long ago stopped being an afterschool hobby. It’s a norm. An expectation. Nevertheless, just because it’s a norm it doesn’t mean that its progression looks the same in every learner. Language acquisition is a complex, lengthy, yet a sequential learning process. We cannot rush it, and neither can we jump over some of its hoops to speed it up. How does it work? There is an ample amount of research on language acquisition. The topic seems to be extensively examined, analyzed and discussed that if it is not yet boring it definitely might seem like its time for being a nouveau are long over. What made me think, however, about all the boring data that researchers continuously debate over are the teachers’ and parents’ concerns when their child or a student is not learning fast enough. “Something is wrong. It’s Special Educational Needs (SEN).” It is a phrase that, worryingly, is frequently used to describe academic performance of English—or any other language learners when they are not learning fast enough. The complexity of differing between Special Educational Needs and Foreign Language Acquisition has become so prevalent that it triggered quite a number of new, yet worthwhile, researches creating a spectrum of indicators for both. Language acquisition in a fully immersed school environment takes time. Yes, this time is strongly dependent on a child’s resilience, home environment, previous education, level of home language and intellectual abilities. However, it rarely ever takes shorter than 5-10 years. Although so-called “survival language” develops quite quickly, because of its simple vocabulary and structures, it takes an extended period of time to build academic fluency. Intellectual needs of a learner and the content imposed by their environment and school make the learning more challenging, hence the older the child the more complex and demanding the learning gets. And by all means, it’s not because of their age, but because of the complexity of their milieu and greater need to understand them. Knowing this correlation is crucial, as it may prevent many educators and parents from prematurely labeling a child SEN.
Special Educational Needs do not reveal themselves in learning a second language. Indicators of those would manifest much earlier. Determining whether there is a case for SEN support requires a collaborative approach. A close observation, continued communication with family and teachers might be great sources for confronting the fears and suspicion. I believe it is also crucial to bear in mind that outside of their academic talents, students’ learning patterns can be influenced by a number of factors: uninterrupted family life, schedules not filled up to the rim with afterschool activities and up-keeping with learning a home language. It is right that delays in learning a foreign language cannot be ignored, however, they also cannot be immediately wrongly labeled. The signs of not speaking, not participating in lessons, not responding to questions most of the time are the expected, natural signs of the first stages of language acquisition, not special needs. Even if it takes longer than the mainstream literature indicates. 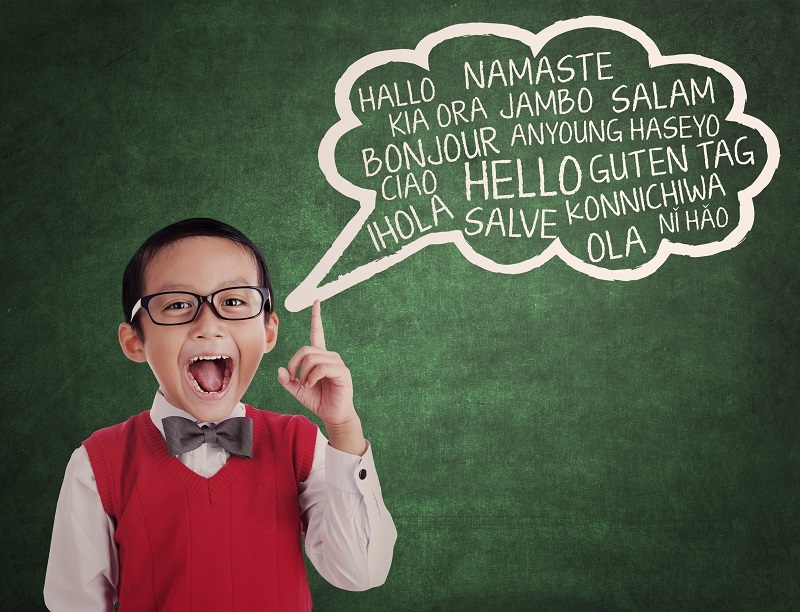 Children who are learning an additional language slower than others need to be supported, but that might only mean that they require a bit more time to complete a task, they need help by translating the expectations and instructions, or maybe just being spoken slower to. Yes, there are cases when Language Learners exhibit SEN needs, and because in this part of the world the topic of Special Educational Needs is still fresh, it is essential that parents are educated and understand the implications. Much seen denial makes all parties’ work more difficult and certainly does not serve the child any good. With that said, SEN is not a disease. It can be well helped, and with appropriate and timely support can, in many cases, be minimalized. And what about the “not fast enough” Language Learners? Well, SEN or not, language in a child’s capacity will come anyway. Solid support, knowledge and realistic expectations can only make it better.